To add an address to a customer record, click Contacts, and then in the list, select the customer record on which you want to add one or more addresses. Click Add address and fill in the fields provided. 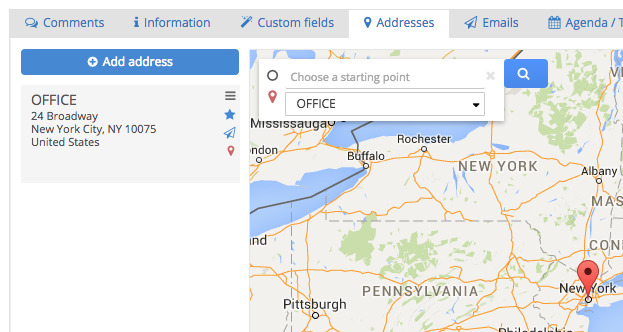 If you want to add multiple addresses, select Add address again and repeat as many times as necessary. Save your changes and the record will be up to date!